There is nothing like this new innovative brush yet again Glide leads the way with their NEW FLEXI BRUSH. 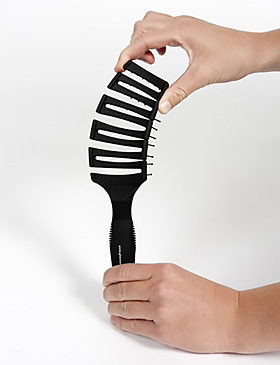 The Flex in this brush allows a gentle movement through the hair, that removes knots while massaging the scalp, it feels great. –Fine to Medium easily identified by the soft pins, silver head and boar bristle that gently works through the hair and redirect the natural oils, this one is a must have for anyone that suffers from hair loss as it is so gentle yet effective. –Coarse to medium is the all black Flexi with firmer pins only, this gives the strength to tackle more hair yet still have that gentle movement. 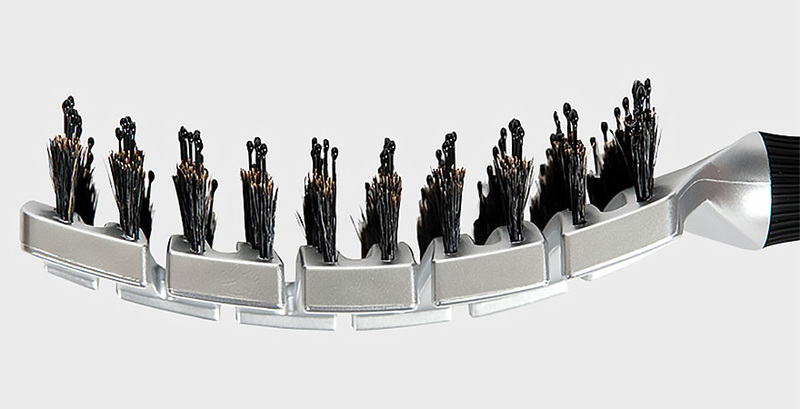 Again these brushes went through rigorous testing amongst our Hairdressers and the feedback was an overwhelming, when can I get one!! Right Now Glide has the Flexi Brush on promotion… Buy any 6 and Get 1 free!! This is an Ideal retail line for all hairdressers!